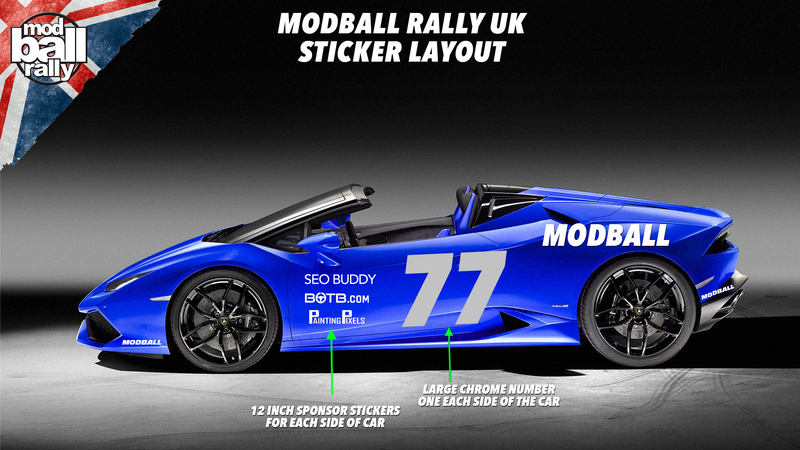 As part of the Modball entry your team receive a full sticker set. 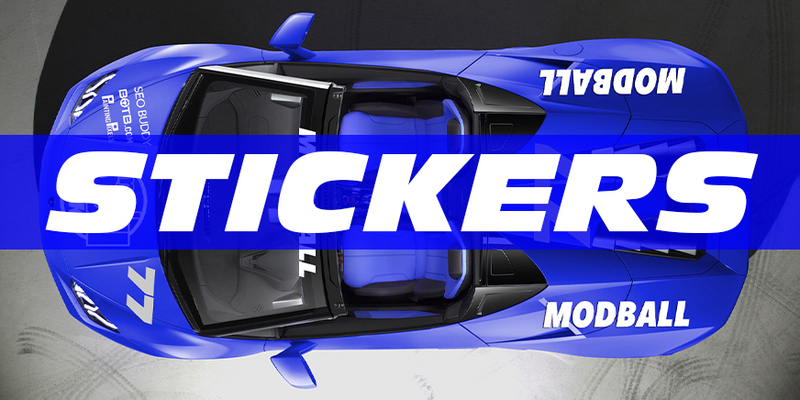 EUROPE STICKERS – You will receive your stickers a few weeks before the Europe event by post. When you receive your sticker pack check back to this page as we will upload the final layout. 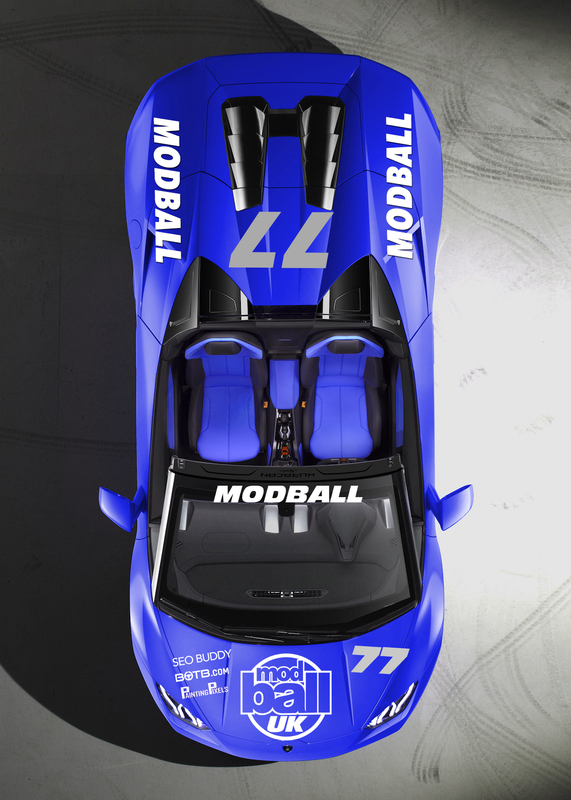 – 1 large Modball UK logo for your bonnet. This is for the centre, not on an angle. – Official sponsor stickers – the layout will change, when you receive your stickers visit this page as we will upload the final layout. – 2 Large numbers, one for each side. 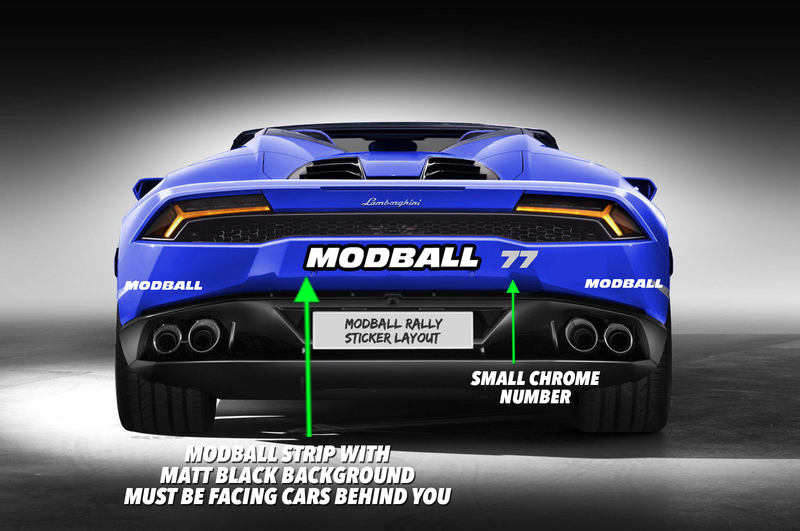 – Two large MODBALL rear quarter panel stickers. 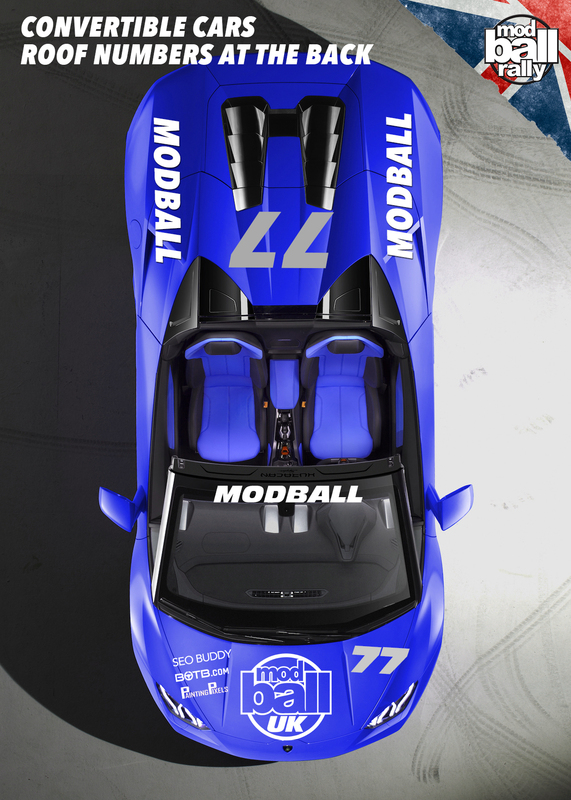 – 2 small Modball stickers for each corner 12 INCH. You will also have 2 for the front two corners. 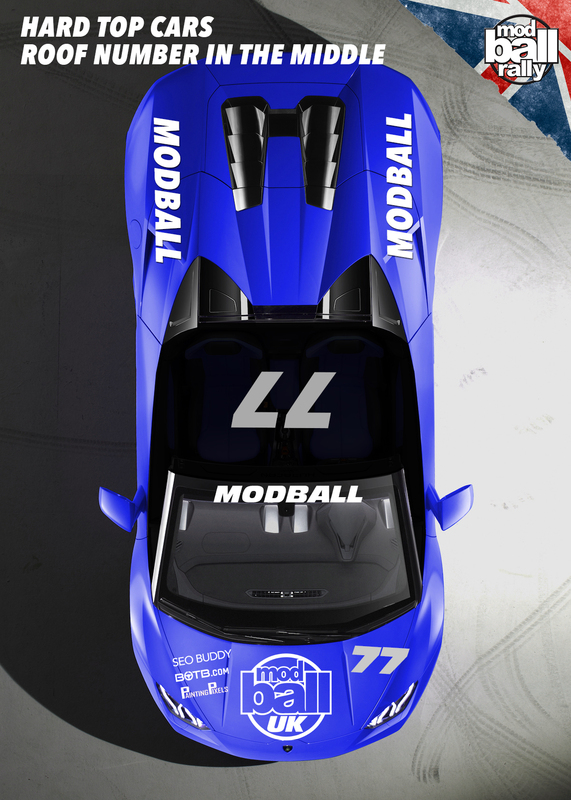 – 1 Large Modball sticker with 1 matt black background for the centre. Place the matt black background on the car first then pllace the white sticker on top.